This antique hardcover atlas of Otsego County, New York, is bound in brown cloth boards with a black spine. 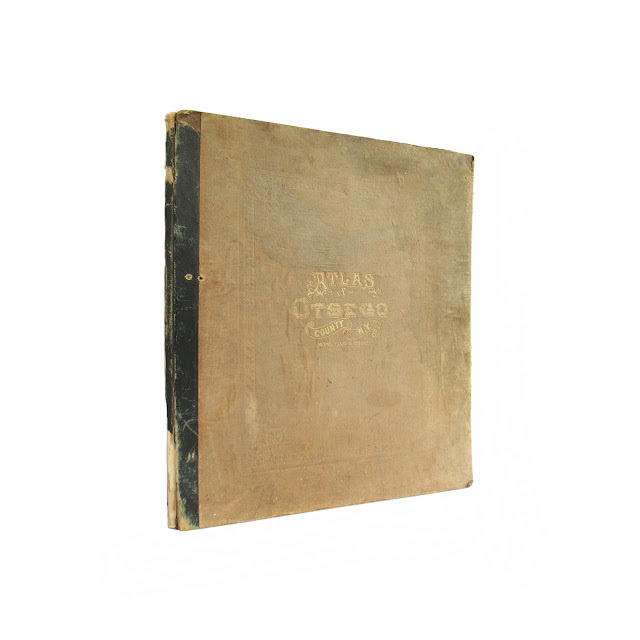 Cover has decorative gilt lettering. 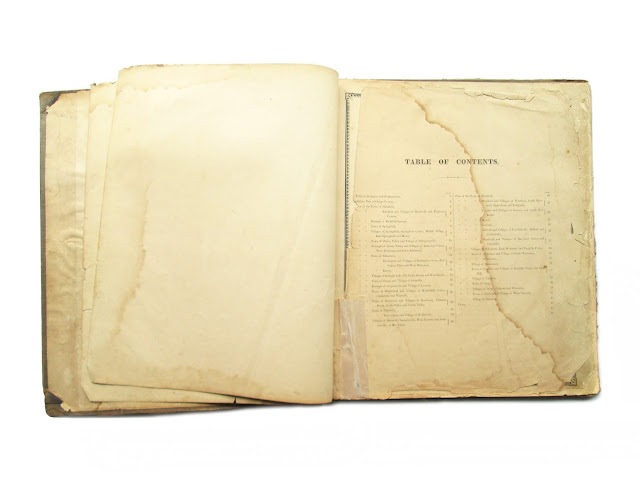 Front cover is water-stained with some other soil; spine is chipped, repaired in places; spine damage evident at front hinge; table of contents taped in at lower edge; all pages present and intact, most inside pages clean, most coloring bright, although some do show some significant wear. From actual surveys by and under the direction of F.W. Beers, A.D. Ellis & G.G. Soule. 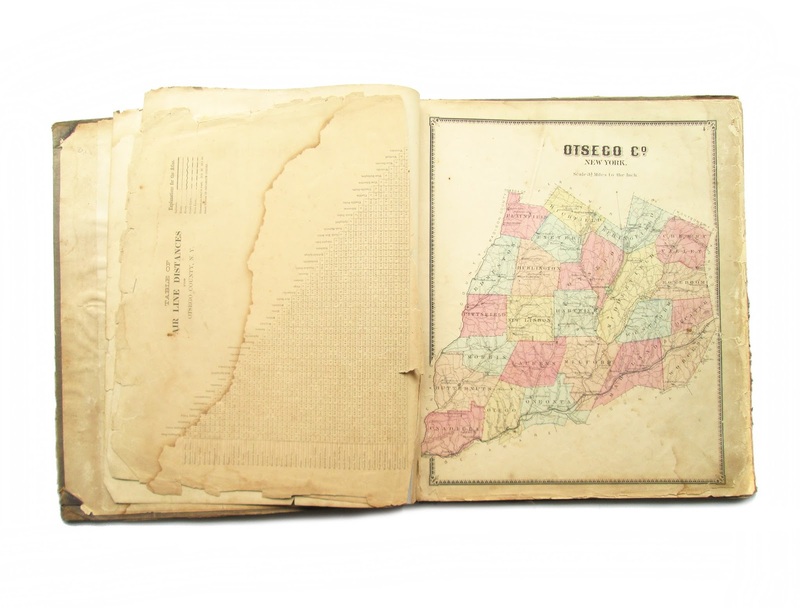 Hand colored maps are in nice condition, showing the towns and villages of Otsego County. 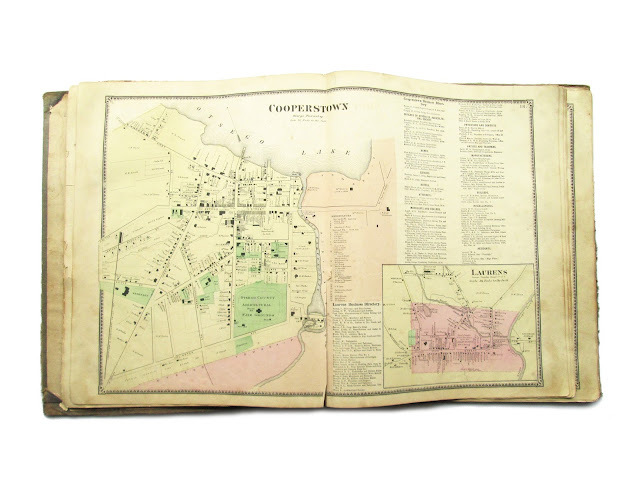 The detailed maps contain information about businesses in each town. Maps are all one-sided. 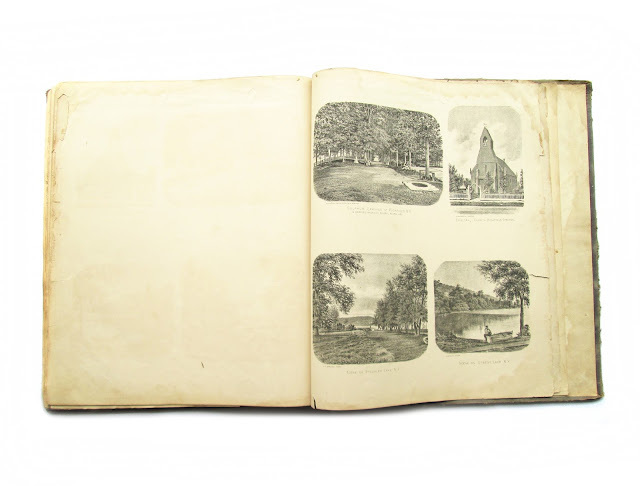 3 pages of engravings in rear. Great complete copy of a hard to find atlas. Includes towns of Burlington, Butternuts, Cherry Valley, Decatur, Edmeston, Exeter, Hartwick, Laurens, Maryland, Middlefield, Milford, Morris, New Lisbon, Oneonta, Otego, Otsego, Pittsfield, Plainfield, Richfield, Roseboom, Springfield, Unadilla, Westford, Worcester. Approx. 10 x 14. 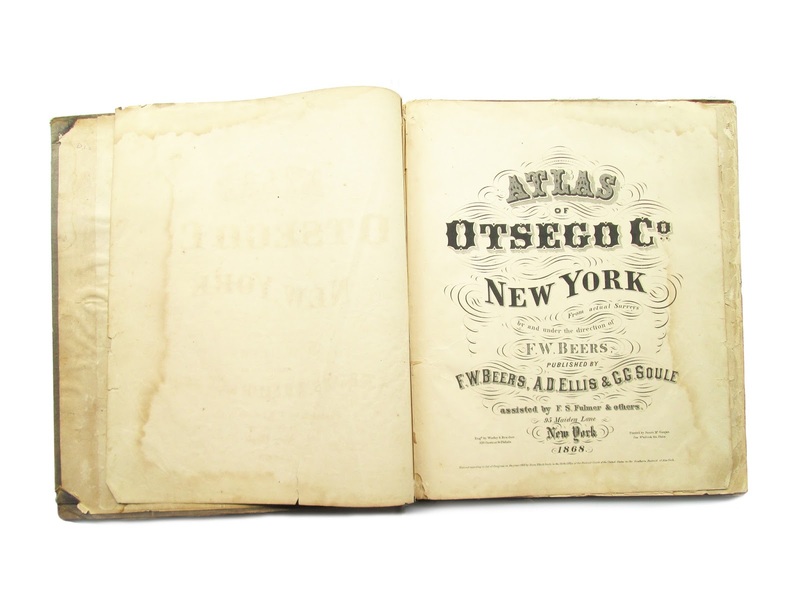 BEERS ATLAS OF OTSEGO COUNTY, N.Y.